If you have any questions or problems, please contact Ivett Molnar (molnariv@ceu.edu). Zotero is an application that allows a researcher to create, organize and import references. You can cooperate with others, cite while you write, automatically format references in specific bibliographic styles, and create bibliographies. It's easy to use, connects with your web browser to download sources, and best of all it's free. 1. Go to Zotero.org and click download. 2. Download the program for your operating system AND the browser extension. 3. 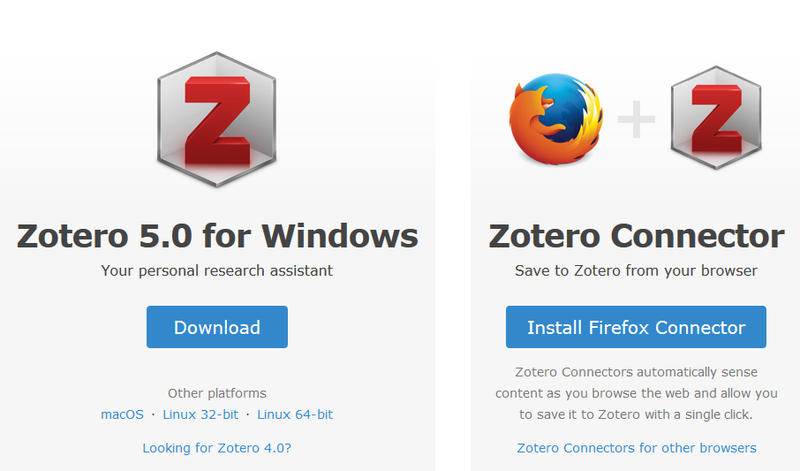 Open Zotero and the browser for which you installed the extension. The word processor plugins are bundled with Zotero and should be installed automatically for each installed word processor when you first start Zotero. If you have problems go to the Word Processor Plugins page. The CEU Library also provides support for Endnote and Mendeley. See Tools for Managing Your Bibliographies.